Chloe, Zoey, and I were working in the library as LSAs (library shelving assistants) when Brandon stopped by. We both had been really busy with stuff and hadn’t seen each other all day. Chloe and Zoey quickly dove behind the computers and secretly listened in on our conversation. Okay, now it’s your turn to finish the story! What did Brandon say to me (Nikki), and what happened next in the chapter you’re writing for Dork Diaries? Also, what is the title of your book? 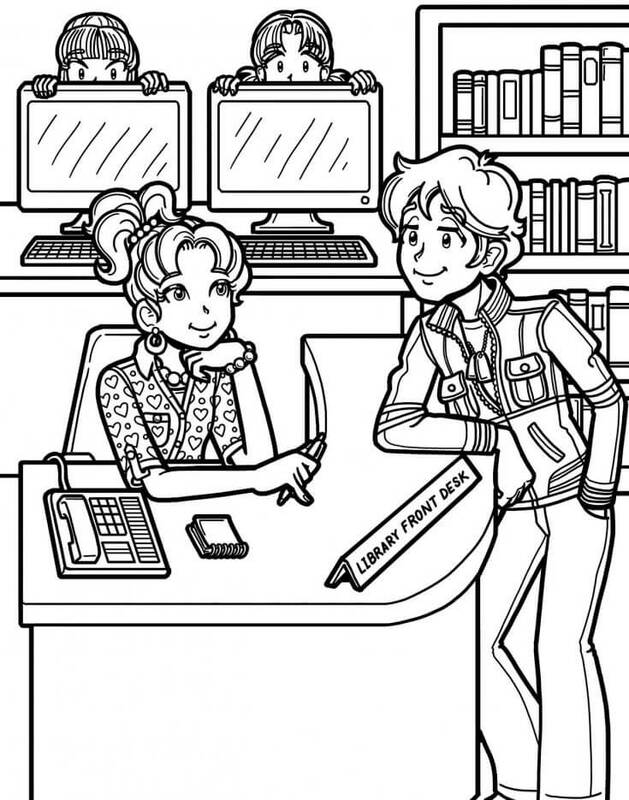 Dork Diaries: Tales From a _____________! Please post your story below in the comments section. I really, really like you Nikki Maxwell all because your funny beautiful and kind to those all around you. I have a huge crush on you your funny beautiful and kind to those all around you. Brandon asks you out and you both go to France together!! Chloe,Zoey,and I were working in the library as LSAs (library shelving assistants) when Brandon stopped by. We both had been really busy with stuff and hadn’t seen each other all day. i think they awesome love and you have amazing books I started reading them yesterday and I was stuck read it all day I can’t take my eyes off it til i was done reading cant wait for more.They should make a Dork Diaries where Andre kisses Nikki and Brandon gets super mad at Andre they could call it Tales from a not so Lucky love story! It’s hard to believe a day that started so HORRIBLY WRONG is ending so PERFECTLY RIGHT! Oops! my Mom is calling me downstairs so we can watch Princess Sugar Plum saves Baby Unicorn Island Part 12! The CD just came out and Brianna has been CRAZY EXCITED to watch it. “Um, Nikki…I know we haven´t…known each other for long…but…um…I…was wondering…if you would…you know…like to be my…GIRLFRIEND? Then I just blurted out “Yes Brandon! I would love to be your GIRLFRIEND! Since the first day of school I´ve had a HUGE CRUSH ON YOU!!! I suddenly had a serious RCS (roller coaster syndrome) attack! BEST DAY OF MY LIFE!!!!!!!!!!! He asked Nikki to meet him after school but didn’t turn up. I love these finish the stories. I’ve done this one 3 times! Please do more! !